We'll keep the lights on for ya. 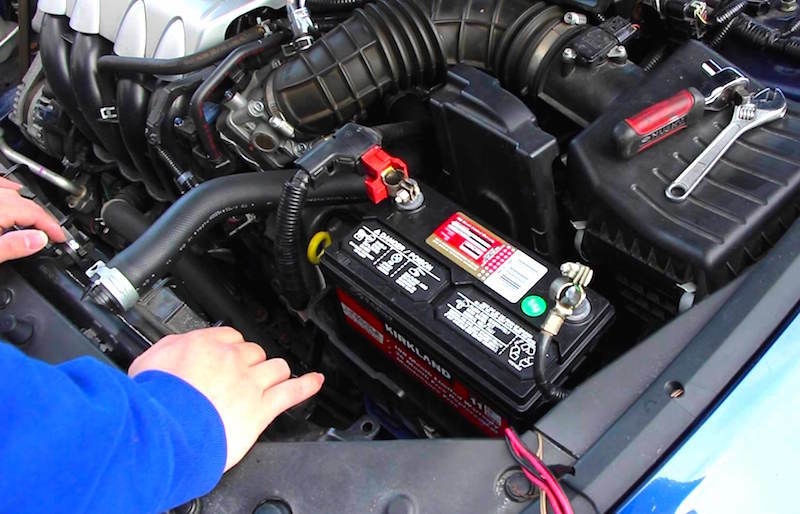 Your car battery doesn’t go out all at once. Instead, it gets weaker over time. Felix Auto and Tire can actually prevent you from having a dead battery at the worst possible moment! Let us test your battery today! Battery testing is quick and easy. We can clean off corrosion to help your battery work better for longer. Your battery will need to be replaced every 3 to 5 years, on average, but it’s hard to predict when it will go out completely. It may take longer for your car to start up in the mornings, or you may notice that it sounds weaker once it gets going. These are both good indications that your battery may be weakening. Felix Auto and Tire has a complete selection of batteries for you to choose from when you start seeing these warning signs. Come in for testing and to get advice on the best battery for your money. We can install a new battery for you in no time. If you have a weaken battery due to leaving your lights on or leaving the ignition turned on for too long, we can help you out with that also. We have professional equipment that charges car batteries right up. Charging the battery ensures that it won’t go dead on you again the next time you turn the car off. There’s no sense in replacing a battery before its time! Instead, let us charge it for you to make it dependable once again. As you know, Felix Auto and Tire also has a towing service. In the event of a breakdown, we can come get your car, tow it back to the shop, and start it for you. At that point, we can give your car a full inspection to see if the battery was the problem or if something else might be going on, such as a failed alternator. Felix Auto and Tire tests, charges and replaces car batteries every day. Trust us with your car’s battery. It’s the only thing that powers your vehicle, so it has to be right!